US President Barack Obama on Thursday named Indian-American Vivek Kundra as the first federal chief information officer. Kundra, 34, has been chief technology officer for the District of Columbia since March 27, 2007. The CIO directs federal information technology investments and oversees enterprise architecture to ensure system interoperability and information sharing across the federal government, the White House said in a press release. The CIO will work closely with the chief technology officer to advance the president’s technology agenda. The job did not exist in previous administrations. 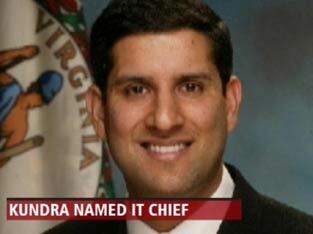 Earlier, Kundra was assistant secretary of commerce and technology for Virginia. He also has extensive private-sector experience. Kundra, who was born in New Delhi and moved to Tanzania with his family at the age of 1, holds an M.S. in information technology and a B.S. in psychology from the University of Maryland. He is a graduate of the University of Virginia’s Sorensen Institute for Political Leadership.